I’m having a hard time finding the right car for me. What should I do? We can help you find the exact car you’re looking for, so don’t worry about it! All you need to do is fill out our vehicle finder service form and our staff will let you know when they have found a vehicle that fits your preferences. 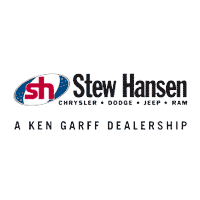 Stew Hansen Chrysler Dodge Jeep RAM’s finance department has a lot of experience with helping customers with all sorts of credit issues. Even if you have poor credit or no credit, our finance team with do everything they can to help you get the car loan that you need to buy or lease the right vehicle for you. Please fill out our secure credit application and our team will reach out to help you! When you find a vehicle that you want to come and check out, we recommend that you schedule a test drive. You can also come to our dealership, which is located in Urbandale, IA and serves customers from Des Moines, West Des Moines, Waukee, Clive, Johnston, Adel, and more.